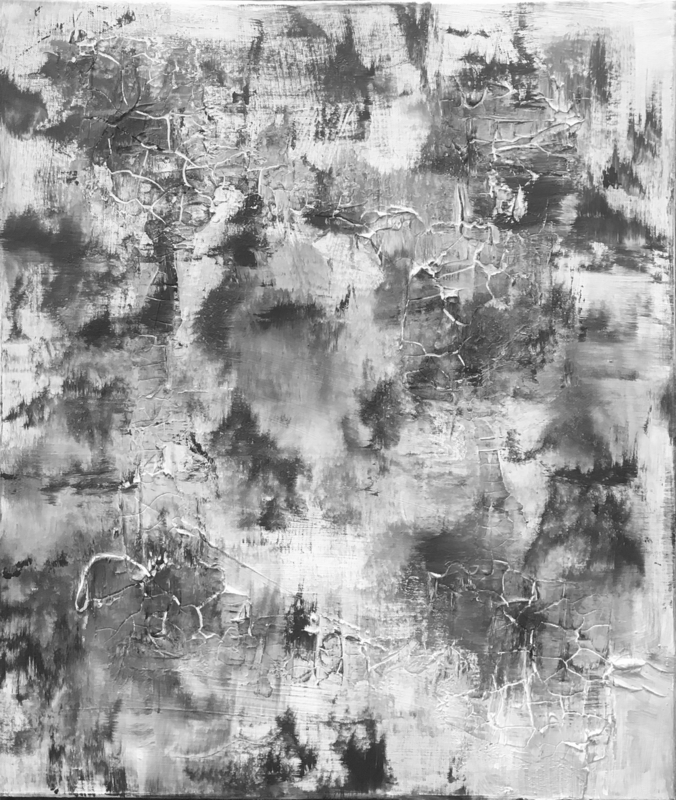 'Find Me' is the name given to my recent black and white abstract painting using acrylic paint and clay on canvas. The paint is brushed over the cracked surface creating a contrast of textures, soft against raw. I named the painting Find Me as the textures and colours reminded me of being lost and things more morbid. What do you see? This painting creates a beautiful viewpoint in a room and because of its black and white colour, it goes well in every interior. Find Me measures 60cm x 50cm x 2cm.